These Virtuoso travelers turned to an advisor in retirement. An amazing new life began. 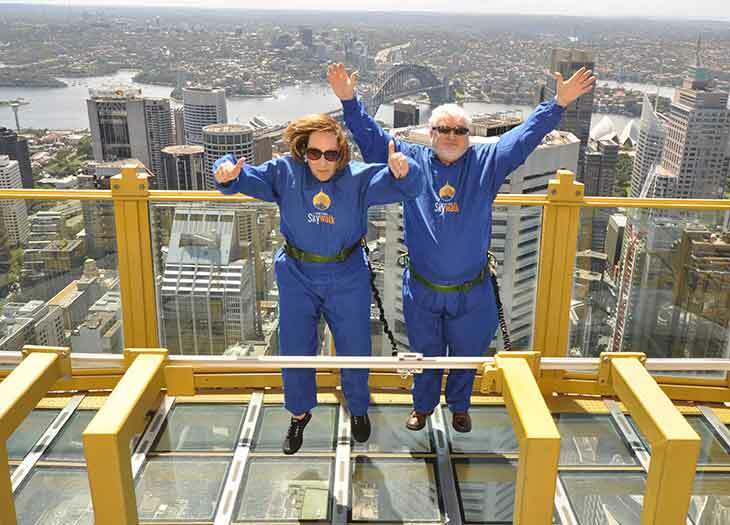 In fall 2012, Virtuoso travelers Steve and Paula Slavsky were recently retired. Paula happened to see a magazine article about recommended travel advisors. Of the 12 "super-agents" listed, one of them – Anne Scully, a McLean, Virginia-based Virtuoso advisor – lived close to the Slavskys. The couple had been to Paris once at that point – way back in the summer of 1970, and only for a weekend. They were looking forward to traveling there again and planning a one-week trip, so they set up a meeting with Anne. "As soon as we met her, we knew that we had finally found a true travel expert. She gave us an overview of possible trips, and we told her about our travel history. When we said that we had taken cruises, she mentioned Oceania," recalls Paula. "We glanced at some brochures, and Steve noticed an Oceania cruise to Australia, New Zealand, and some islands in the South Pacific. We were surprised that the cost was not much higher than what we were considering for Paris." Anne introduced the couple to another McLean-based advisor in her agency, Beth Jenkins, whom Paula calls "bright, dynamic, and so knowledgeable." "Within a week,” she says, “rather than spending seven days in Paris, we’d booked a 25-day cruise, plus three days in Sydney before the cruise, and five days in Moorea afterward. That trip was the beginning of a wonderful new life for us." Since then, the Slavskys have worked on eight trips with Anne and Beth, including a recently completed Viking River cruise from Nuremberg to Budapest. "In Budapest, Anne had contacted the hotel before we arrived to let them know that I had just celebrated a birthday. Not only were we 'double-upgraded' to a lovely room that overlooked the Danube, but within 30 minutes of our arrival, room service arrived with a bottle of wine, two bowls of fruit salad, and a large birthday cake," says Paula. The big picture of working with advisors is clear to the Slavskys – and that applies financially as well. "The benefit of working with advisors is taking advantage of their knowledge, expertise, and personal experiences," notes Paula. "Steve and I had done quite a bit of our own research in the past, using books and the Internet to explore destinations, transportation, hotels, restaurants, and tour guides. Now, though, we've traveled to places we never imagined we would see, and also had experiences that were beyond our dreams! "Initially, we were concerned about cost," she says, "but we decided that the value of advisors’ expertise and Virtuoso’s benefits and perks actually often decreases the cost." If you'd be interested in working with a Virtuoso advisor on your next trip, click below to connect. 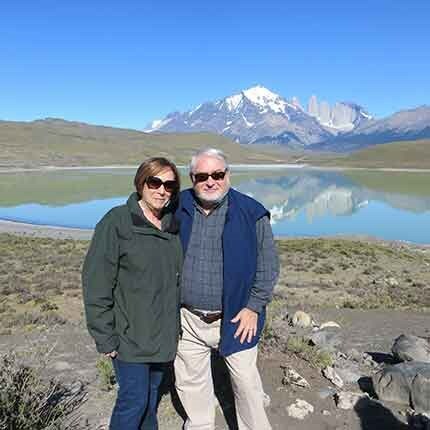 Steve and Marg Swink have been on 47 Virtuoso trips (you read that right). It all started with a simple, if odd, question. Jay Elliott worked with a Virtuoso advisor on an anniversary trip to Mexico. The value was clear from the beginning. Catherine Ianchulev and her husband have young children; their travel plans often involve learning opportunities. An advisor is invaluable. What Are The Basic Benefits? You're a busy person, but you do want great experiences to define your life. That's where Virtuoso advisors come in. Click below for five examples of real traveler stories speaking to that idea.